InstallSafe was created to help you install any application with confidence. 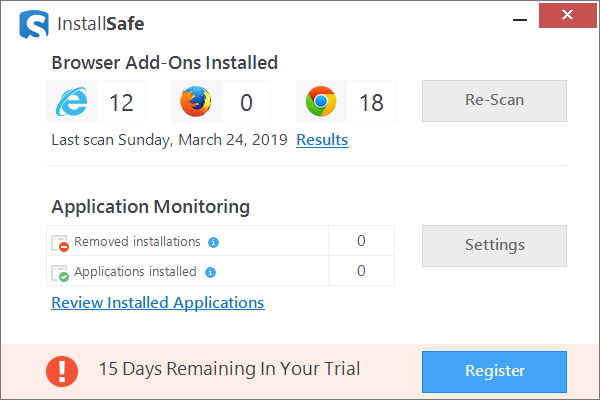 It monitors the installation of any application and tells you if other applications have been installed at the same time. It also tells you if the installation made changes to your browser settings. If anything unwanted is detected, InstallSafe allows you to revert these changes quickly and easily.